The holy month of Ramadan starts on the evening of Sunday 5th May and continues to Tues 6th June. 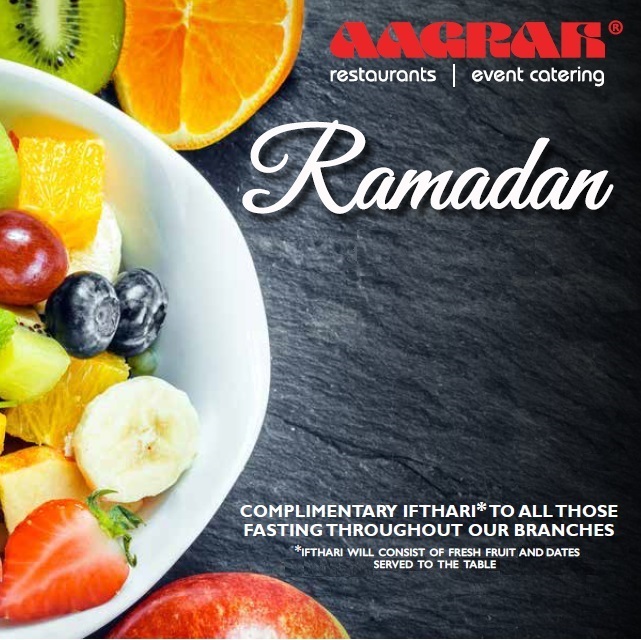 As we have done in previous years, all Aagrah Restaurants will be offering a complimentary Ifthari for all diners who break their fasts at Aagrah. The Ifthari will consist of fresh fruit and dates served at the table. We hope to have the pleasure of welcoming you to an Aagrah Restaurant during Ramadan. BOOK ONLINE WITH US NOW!